SGB Pokémon: Blue Version (USA/Europe) "Gotta Catch 'Em All!" in 3:20:46.17 by p4wn3r & Mukki. 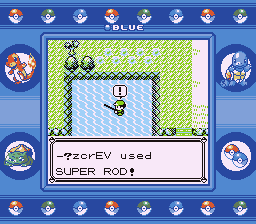 Pokémon: Blue Version is part of the first generation of games within its famous series, known for having a very large number of beneficial glitches. In fact, the game can be completed in less than one minute of in-game time by save data corruption as evidenced in the run of the Yellow Version, and it can be completed in under half an hour using a more 'conventional' glitch, as shown by the other run on the Blue Version. These runs break the game, and avoid much of the gameplay intended by the developers. And now, for something completely different. In this run, the authors, p4wn3r and Mukki, catch all 151 Pokémon and complete the game while only using what they call "light glitches", showing off much more of the game than seen in the other runs while still using many glitches to complete this goal much faster than the programmers could have imagined. For more details about the techniques used in this run, and for their definition of what constitutes a light glitch, as always, please read the authors' notes.